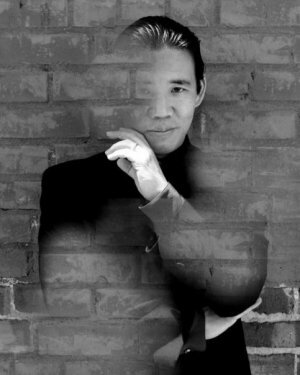 Magician David Hirata - ThingsImpossible.comHenry Tenenbaum from KRON 4 describes magician David Hirata as "a master of deceit" and SF Chronicle says he's the "best stage pick" -- classic magic with a classy style. That's Hirata alright. He's a fantastic performer, and we are very pleased to have him on stage this weekend. Tell us about yourself as a magician. In my offstage life, I'm a pretty quiet, shy person, so it's kind of amazing I ever became a magician. But I can't think of anything else I'd rather do! There's a quote by Emerson that I learned in high school: “men love to wonder, and that is the seed of our science.” That was true for me as a kid, so I went to school, studied biology, and eventually became a field ecologist. But my days in science were numbered—I actually opened my very first research talk by tossing a silk scarf into the air, where it turned into a cane that I then used as a pointer (That part went over great, far better than the presentation that followed). I still “love to wonder”, but I just have more fun creating wonder with magic, and it seems that people would rather watch me do magic than peer through a microscope. What peaked your interest in magic? I think that almost all young boys get interested in magic, and I was no exception. I received a magic set for my 7th birthday, and started learning magic from books in the public library. Then, when I was 9, one of my classmates performed a trick at school for show and tell—it was the classic “Cups and Balls”. Now, I thought I knew a lot about magic, but that kid fooled the #@%#!! out of me! That was the moment when I really understood the effect that great magic can have, and that—just maybe—I might be able to do that, too. What's your favorite trick to perform? What is your favorite to watch? That's a tough one…I guess I have to say it's my rope routine, which I call “The Rope Factory”. If I'm booked to perform only one routine, this is the one I pick; in fact, it's what I chose for my first TV appearance. The magic is fun to do, and my audiences have fun watching it. I spent a long time writing the script for “The Rope Factory”—much longer than I spent actually mastering the sleight of hand involved. And that routine is a good piece of self expression for me—it says a lot about who I am, my style of magic, and has a few of my own wry observations about the world sprinkled in. Picking a single favorite trick to watch is just as hard, so I'll just have to cheat and name three: Harry Blackstone, Jr. performing the “Dancing Handkerchief”, Rudy Coby‟s “Puppet Boy”, and Arthur Trace's “Postmodern Art”. Watching all three pieces, I see fantastic magic that is unique to each of these performers; all three give you the sense that you're watching something special. Name a magician who has inspired you most, and why? I've been lucky enough to meet and work with some excellent magicians (many of them here at California Magic), but Eugene Burger, a close-up magician from Chicago, stands out as someone who has strongly influenced my magic and even my life in general. Eugene is also an excellent teacher and writer, and he's one of the kindest people I've ever met. His magic is such a perfect blend of humor, elegance and pure amazement, and he taught me the importance of precision in the performance of magic. Precise attention to detail is what creates the experience of magic, as opposed to mere tricks or puzzles. What's your favorite style of magic to perform, and why? I especially love stage magic. Stage magic is really a form of Theater, which is about creating a whole new world and inviting the audience in to share the fun. In today‟s wired world, there's something especially wonderful about a live magic performance, making it possible for a roomful of living, breathing human beings to share a miraculous experience. What's your favorite magic memory to date? There are so many good memories! Every audience is different, so every show is a new experience. I have a piece in my show I call “Tableau for Three”—a simple illusion with a small cloth bag and two volunteer helpers. I love performing that piece, no matter where the show. Developing “Tableau for Three” was a real joy, too—I learned it by studying the works of some of magic‟s great masters. So when I perform it, it's like the spirits of Max Malini, Charlie Miller, Harry Riser and Harlan Tarbell are up there with me. That's a great feeling. What's the most important thing about magic you'd like the public to know? People expect magic to be an entertainment for children, or a glittery Vegas production, but it can be so much more. Teller (of Penn and Teller) has a neat way of looking at magic: “it's this wonderful playground where you can sort of relax and go, 'Oh boy—it's really hard to understand the world'.” When it's done well, magic can be funny, thought provoking, profound, or even beautiful. I love magic, and I want everyone else to love it, too.